Samsung on Monday announced a new range of Smart TVs in sizes ranging from 32-inch to 82-inch and starting at Rs 24,900 in India. The new line-up of Samsung’s Smart TVs comes with features like “Home Cloud”, “Live Cast” and “Two Way Sharing”, along with the capabilities to transform the TV into a personal computer as well as a music system. 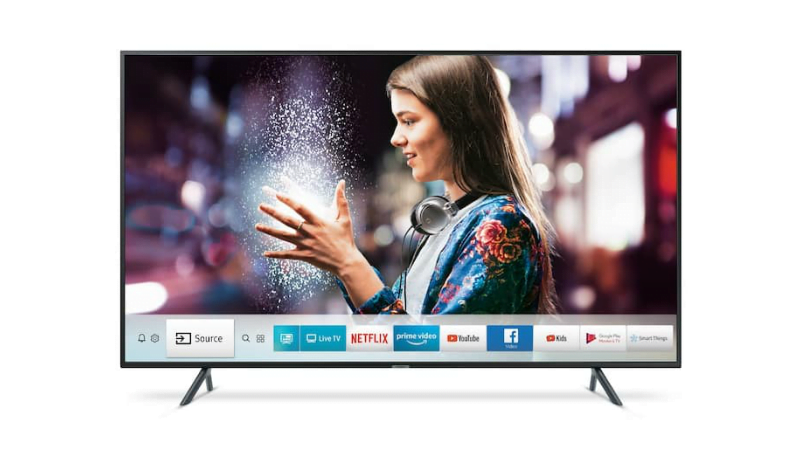 “The latest Smart TV range caters to the needs of our consumers with a host of never-seen-before features,” said Raju Pullan, Senior Vice President (SVP), Consumer Electronics, Samsung India. The “Home Cloud” feature allows users to save photos and videos from their smartphones to a password-protected USB drive connected to the TV. The “Live Cast” lets a user stream live moments from any remote location on to their Smart TVs over the Internet via their smartphones. The Two Way Sharing feature allows users to share content between Smart TVs and smartphones. The TVs also come with “Smart Hub” that gives users single access to live TV, apps and other sources.